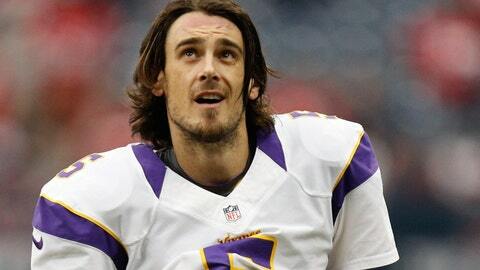 Chris Kluwe launched some serious allegations against the Minnesota Vikings. Update (11 p.m. ET): Minnesota Vikings special teams coach Mike Priefer responded to Chris Kluwe’s allegations on Thursday night, denying the former Viking’s claim. Several Vikings players also defended the coach. Before we go any further, read this. "This" is a piece by Chris Kluwe, former punter for the Minnesota Vikings, published by Deadspin, called "I Was An NFL Player Until I Was Fired By Two Cowards And A Bigot." Those "cowards" are Leslie Frazier, until this week the head coach of the Vikings, and Rick Spielman, who survived the Vikings’ debacle of a season and remains the team’s general manager. The "bigot" is special teams coach Mike Priefer, and the allegations against him are severe: Kluwe alleges that Priefer used what amounts to hate speech and that he more or less forced the Vikings to move in a different direction at punter because of Kluwe’s outspoken support of gay rights. I believe Kluwe. I believe what he recounts about Priefer and I think he was likely cut from the team, and can no longer find a job, because of his activism. But this situation requires a little more nuance than that. Here’s why I believe Kluwe: At the core of what he’s been doing has been an important, unimpeachable motive, which is the issue of civil rights for gay people in America. And even if his celebrity, brought about by his activism, has caused him to subsequently seek out more attention — I don’t necessarily think this is the case, but it’s a charge that’s been levied against him — then that’s not the worst thing in the world. Kluwe’s human. And nothing about this letter is implausible, or out of character, for the Kluwe that has put himself into the public eye. The NFL loathes outspoken behavior. It hates aberration from the weird, gladiatorial norm that has become the league’s standard. The NFL does not enjoy individuality. Just ask Jonathan Martin. These players are wearing helmets, shielded from the public when they perform; the ones that become stars apart from this do so under the protective sheen of advertising and media appearances and similarly controlled scenarios. Access is guarded like it’s gold. Taking advantage of the regular anonymity of its players, the NFL has, more than the NBA or MLB, managed to almost entirely mitigate the public presence of its athletes. And it has far more of these athletes to manage, too, which makes this all the more impressive. These players don’t have guaranteed contracts. They have no leverage; most of them can’t even fall back on a public identity. Kluwe can, which allows him to be more outspoken. And so the letter. I believe Mike Freeman when he says that NFL players have been blacklisted because they are gay. I agree with Will Leitch when he says that Aaron Rodgers’ need to deny rumors about being gay are indicative of a league that, if anything, is becoming even less receptive to an out player. And I agree with Chris Kluwe when he says that his individual stance on this subject, taken apart from other players and the league — even if he has the tacit support of many within the NFL — has kept him from having a career. He’s just so easy to replace. Because that’s the thing about the NFL. These guys are replaceable. They’re faceless. 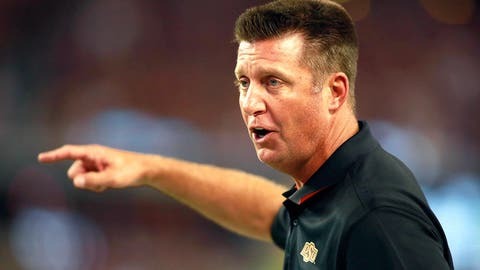 To the fans, the offensive linemen and special teams and defensive players are essentially pawns in a chess game, their stats irrelevant to fantasy and their efforts part of a far more collective unit than the offense, with the auteur-like quarterback and the flamboyant receivers and the running backs who touch the ball 30 times a game. When these anonymous players tilt the calculus even slightly — when they fly in the face of the collectivism that seems to define so many NFL coaches and locker rooms, a collectivism that’s hilarious in a league so capitalist, the most popular sports league in the most capitalist country on Earth — they outweigh their usefulness. Unless they are very good; Kluwe isn’t very good. He was good enough; he isn’t anymore. There’s a simple reason why the NFL should be the first professional sports league to have an active gay player: it is, by far, the largest. There are 53 active players on 32 teams, plus far more hanging around the margins, on the practice teams and injured reserve; you’re looking at, at minimum, something like 2,000 men at any given time with reasonable claim to being active NFL players. The percentage of Americans who are gay is an astonishingly undefined number, but estimates range from 2 percent to 20 percent. Even at the lowest end, that would mean there are 40 or so active NFL players who are gay. And even a fairly common estimate, between five and 10 percent, would mean 80 to 200 players in the closet, numbers reflected by anonymous sources in Freeman’s story. And yet, here we are: zero out players, and a star quarterback who felt necessary to make an obscure Internet post into a national story by going on the radio and, unprovoked, emphatically affirming his heterosexuality. This isn’t about Kluwe. It’s about a league that is so successful that it would rather not face any problems with its culture. Regardless of the rationale behind Kluwe’s firing, there needs to be an investigation of Mike Priefer and he needs to be fired if he said the things that Kluwe claims he did. As the Jonathan Martin and Richie Incognito saga reminded us, the NFL is a work place that polices itself like a college frat. But homophobia goes beyond schoolboy indiscretions. It’s hate, and the NFL needs to start caring.